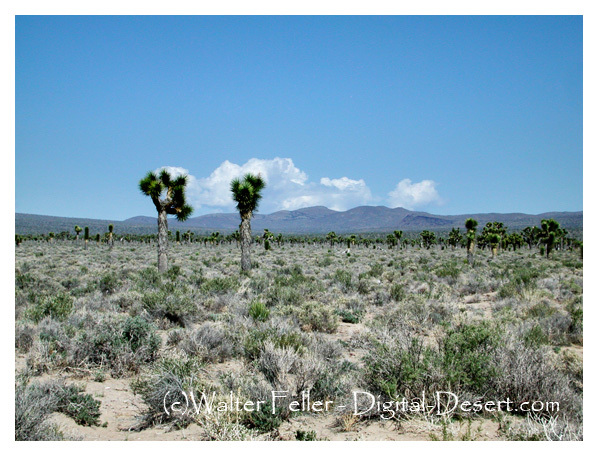 The finest stands of yucca brevifolia in the park grow in this mountain-rimmed valley. Take the paved but rough Saline Valley Road to a junction in Lee Flat. The gravel roads in either direction will provide good views of Joshua trees.